director of Swar Sadhna Samiti, Mumbai's progressive, prestigious music institution. He gave solo performances at music programmes all over India and abroad, visited several universities as judge and besides vocal music and sitar vaadan, Panditji had good knowledge of bansi, violin, jaltarang. Due to a tragic and near-fatal accident, his bright career as sitarist ended prematurely. Not one to compromise on standards, Pandit Jijina gave up performing on stage. However, he continued training talents in Indian classical instrumental music through the Samiti's classes. 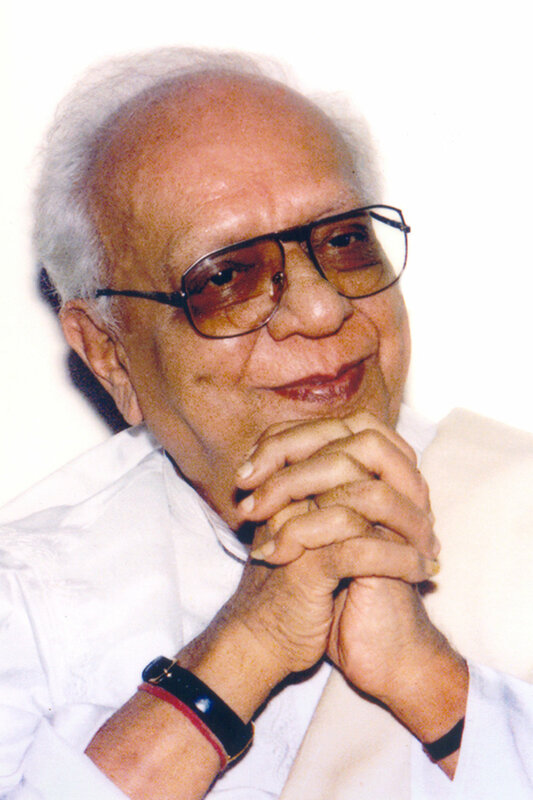 Struggling yet succeeding in his prime goal to give unknown talents an opportunity to perform on stage, Panditji tirelessly led the Samiti right till his last breath on 14th August, 2003. Pandit Jijina's advent into the world of music was initiated by the celebrated vocalist Master Mohan and Pt. Pandurang Amberkar, Pt. Rajaram Koparde and Ustad Dastagir Khan. His advanced training for sitar was under the tutelage of none other than Bharat Ratna Pt. Ravi Shankar as well as Pt. Jaisukhlal Shah. He spent close to half a century teaching and moulding numerous shishyas in various forms of Indian classical music. Outstanding among them are Dr. Aban E. Mistry and his son, Pandit Sapal Keki Jijina. His total immersion in Indian classical arts and absolute surrender to Maa Saraswati, channelized Pandit Jijina's latent spirituality, resulting in many lectures, articles and discourses on matters both philosophical and spiritual. Our Pujya Guruji, Pandit Keki S. Jijinaâ€™s sacred spirit continues to be our Samiti’s leading light and stirs us to unstintingly work towards his main goal â€“ the propagation of Indian classical music and dance forms to ALL. An ardent devotee of Maa Saraswati, the worthy disciple of revered Gurus, (late) Pt. Keki S. Jijina, Pt. Laxmanrao Bodas and tabla nawaz Ustad Amir Hussain Khan, Dr. Aban E. Misty is rightfully acknowledged as the world's very first professional lady table artiste, renowned not only in India but also abroad. She carved a niche for herself, through half a century, gaining complete command and authority over an otherwise male-dominated instrument - the tabla. Dr. Aban E. Mistry, co-Founder of Swar Sadhna Samiti, was also an acclaimed musicologist, a much-sought after lecturer, a celebrated research scholar and a 'Sahitya Ratna' in both Sanskrit and Hindi. They were a remarkable Guru-Shishya pair who lived by and for their belief: that Music, like all Art knows no class, creed, caste or gender. They devoted their entire lives working to erase these boundaries by providing opportunities for stage performances to unknown, unsung talents through the Samiti's programmes. On 30th September, 2012, the world of Indian Classical music lost a rare gem â€“ an artiste par excellence, a celebrated performer, a lady with great dignity, an exemplary human being, a loving daughter, a wonderful Guru and above all of these, Maa Saraswati's devoted child. Swar Sadhna Samiti lost its warm, caring, fiercely protective Mother and Sister. In our 58th year of service, Swar Sadhna Samiti is even more determined to carry forward the legacy of our Pujya Guruji and Abanji.